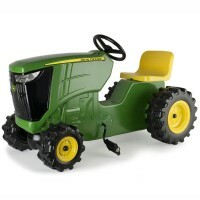 Easy to turn on, fun to play with, useful to pack for your next outdoor trip, this John Deere Roll n Go Tractor Flashlight will enlighten your tot's or preschooler's outdoor exploration. 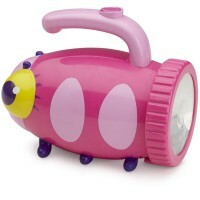 Young vehicle lovers will be deLIGHTed to have a flashlight like this! 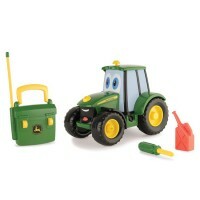 John Deere Tractor Kids Flashlight is boys' dream flashlight for camping, outdoor play, or indoor fun. 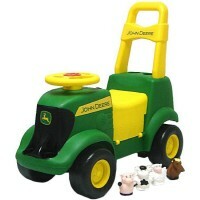 This kids flashlight features a signature John Deere mini toy tractor with free rolling wheels. 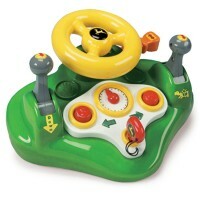 Squeeze trigger to hear cool real engine sounds and to turn the flashlight on. 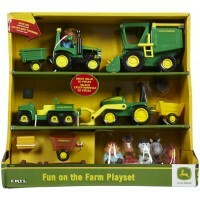 Need to turn the light off? 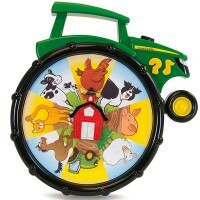 Just squeeze the tractor triger again. 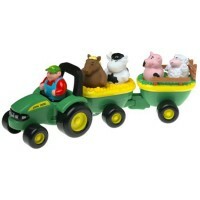 The John Deere Tractor Kids Flashlight comes with the automatic shut off to keep the batteries working longer. 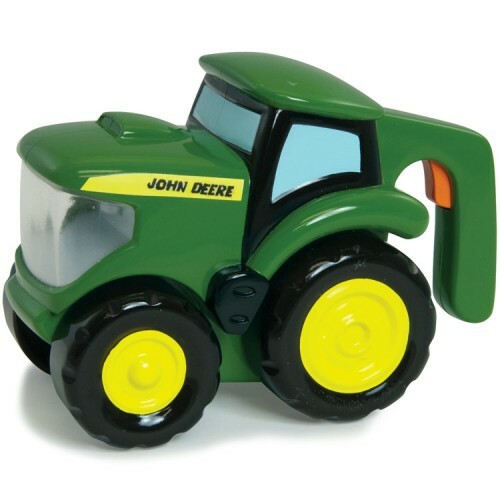 Easy to operate, fun to play with, useful to pack for your next outdoor trip, this tractor shaped flashlight will equip your toddler or preschooler with his own flashlight. 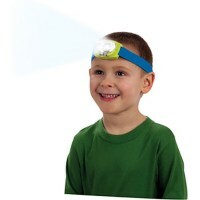 This boys flashlight from Educational Toys Planet requires 2 AA batteries (included). 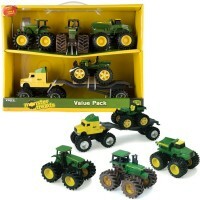 Dimensions of package 0.035" x 0.06" x 0.04"
Write your own review of John Deere Tractor Kids Flashlight.